The Jacob sheep is a distinctive and attractive breed. 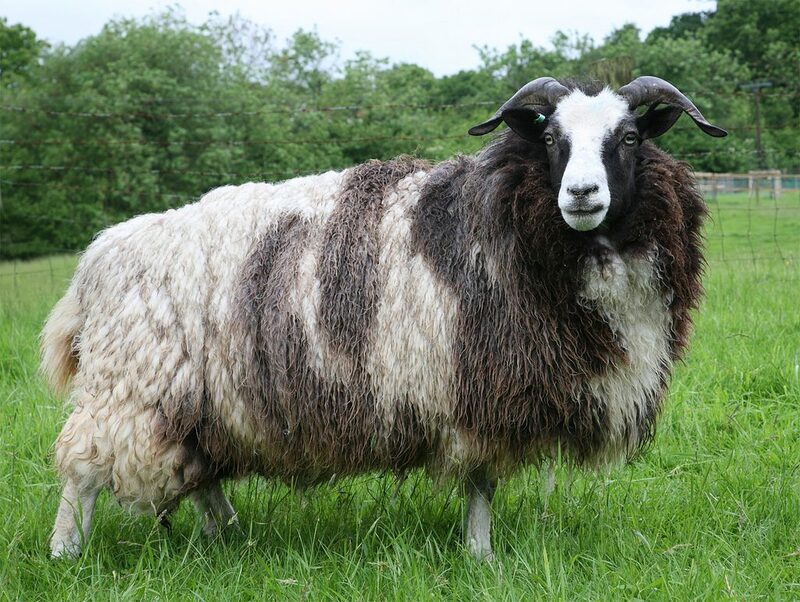 It can have up to six horns, and is the only sheep to consistently produce a spotted fleece. Jacob wool is known for its black and white spots, but comes in a range of colors, including hazy lilac greys and browns. It’s considered a “primitive” breed, a type of sheep that can thrive without much human intervention, and that shares features with undomesticated breeds of sheep. Unlike most other primitive sheep, which usually have coarse fleeces with hairy overcoats, the Jacob fleece is lofty and soft, making it perfect for close-fitting garments. The hands-off approach to raising Jacobs combined with their distinctive look, and attractive coloring, made the breed a popular “park sheep” in Elizabethan England, where they were kept on estates simply for ornamental value. The breed itself likely got its start in the Middle East about 3,000 of years ago. 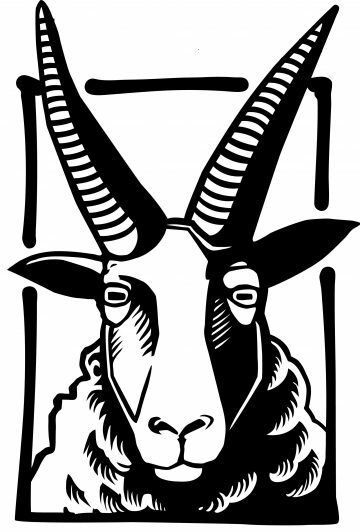 It owes the name Jacob to the Jacob of the Bible’s Old Testament, who bred spotted sheep. The Jacob sheep is a rare breed of sheep in the United States, and is considered threatened by the Livestock Conservancy, a non-profit conservation organization for domesticated animals.